When we think about how so many people can function at different levels of productivity after different amounts of sleep at night, it leads us to wonder if some require less than others. Some individuals seem to be able to jump out of bed in the morning after snoozing for only a few hours while others noticeably suffer if they haven't soundly slumbered for a solid eight. While there are slight variations in how much sleep a person should be getting once their head hits the pillow, there are established numbers of shut-eye that you should be achieving as published by the National Sleep Foundation. In a comprehensive study conducted by the National Sleep Foundation, eighteen of the world's leading researchers and scientists came together to convulsively research the right amount of sleep. They reviewed over 300 scientific publications and voted on how much sleep is appropriate throughout the life cycle. The group included six specialists from leading institutes in the global community including the American Academy of Pediatrics, American Association of Anatomists, American College of Chest Physicians, American Congress of Obstetricians and Gynecologists, American Geriatrics Society, American Neurological Association, American Physiological Society, American Psychiatric Association, American Thoracic Society, Gerontological Society of America, Human Anatomy and Physiology Society, and Society for Research in Human Development. "The NSF has committed to regularly reviewing and providing scientifically rigorous recommendations," the Chair of the National Sleep Foundation Scientific Advisory Council, PhD Max Hirschkowitz stated. "The public can be confident that these recommendations represent the best guidance for sleep duration and health." Newborns: Babies 0-3 months of age need 14-17 hours of sleep every day. Infants: Babies 4-11 months of age need 12-15 hours of sleep every day. Toddlers: 1 to 2-year-olds need 11-14 hours of sleep every day. Preschoolers: 3 to 5-year-olds need 10-13 hours of sleep every day. School-aged children: 6 to 13-year-olds need 9-11 hours of sleep every day. Teenagers: 14 to 17-year-olds need 8-10 hours of sleep every day. Younger Adults: 18 to 25-year-olds need 7-9 hours of sleep every day. Adults: 26 to 64-year-olds need 7-9 hours of sleep every day. Older Adults: Those 65 years and older need 7-8 hours of sleep every day. Getting the correct number of hours of sleep for your age is vital for your health and well-being. Though it feels as if our bodies shut down when we close our eyes, our bodies are in fact working hard to strengthen as we slumber. If sleep is sacrificed, so is our ability to manage our physical and emotional health. It's important to get the proper amount of sleep so that we can function to the best of our abilities. Take a sleep study. 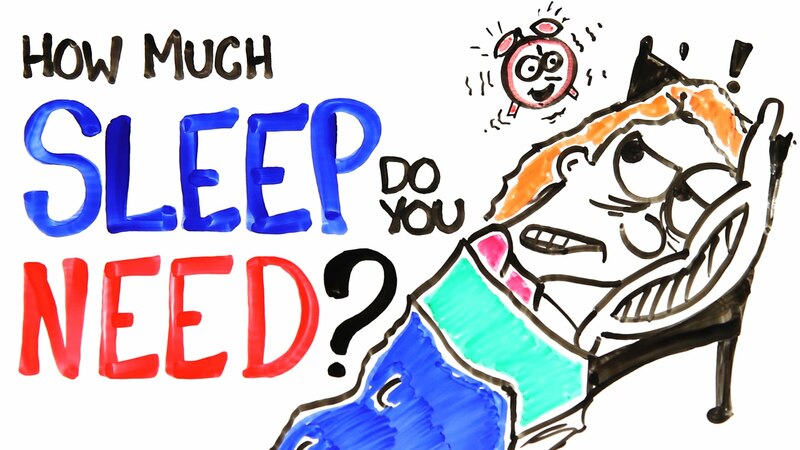 Find out if you are getting enough sleep. If you are amongst the 1 in 3 people in America who don't get enough sleep, you may be suffering from common sleep disruptors that lead to insomnia and sleep disorders. These conditions that often impact quality of sleep may lead to further problems resulting from chronic fatigue if sleep is continually sacrificed. While certain situations are avoidable, others need professional attention. 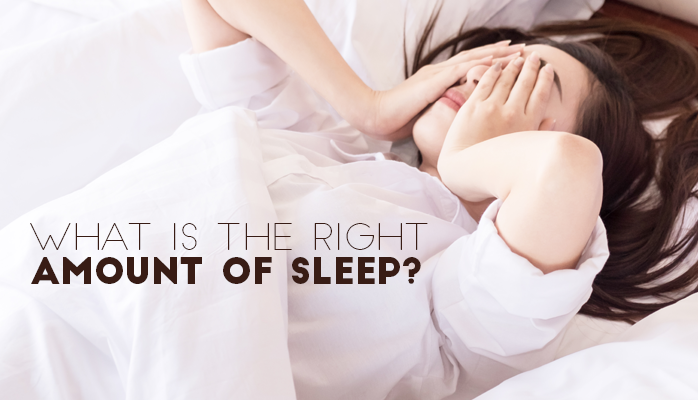 If you are suffering from an undiagnosed sleep disorder, it is vitally important that you seek help from a sleep specialist so that you can achieve the right amount of sleep. If you are questioning whether or not you might have a sleep disorder, you should seek help from a specialist who can properly assess your symptoms and provide a correct diagnosis. Consulting with a sleep specialist will allow you to get the appropriate diagnostic testing and, if necessary, develop an effective treatment plan. Treatments offered at the Anchorage Sleep Center include oral appliance therapy, ENT surgery, CPAP therapy, and cognitive behavioral therapy. These are several options that can help individuals with sleep disorders get the sound sleep that they need. To contact us and find sleep solutions, send us a message online to schedule your first consultation.